It's a brand new world out there for publishers of all kinds – whether you are a cable channel, or even a traditional online publisher. What's the right strategy for reaching your audience? Los Angeles-based Render Media (www.rndr.com), which is creating a publisher geared at the social world, social channels, and sharing. We caught up with co-founder and CEO Vic Belonogoff to learn more about Render Media, whose flagship site is Opposing Views. Tell us about Render Media? Vic Belonogoff: We are a digital publishing company. Our goal is to create really socially engaging content, that is aimed at empowering, informing, and giving voice to a young audience. The people who we our content and videos in are essentially connected, mobile, have their phone with them all the time. The way I look at it, is we are trying to be the next generation of what cable TV is. As cable TV subscribers become older, younger people are turning to specific verticals on social. Instead of following food, about politics, or sports channels on cable, those people are turning to social. Nowadays, people are only following and digesting content they want to see, which is the advantage of social channels. On cable, you get a whole package, and even if you don't watch it you have to pay for it. It looks like you have a number of properties, some of which were in existence before. How did you pull that all together? Vic Belonogoff: Eytan Elbaz is my cofounder and a really good friend. 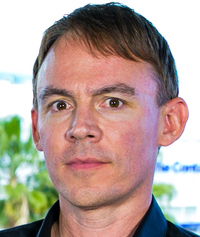 He was a co-founder of Applied Semantics, which started the AdSense technology, which they sold to Google in 2003. We came together in 2008, to focus on digital content. Back then, it was a much different game, and there was not much of an emphasis on social and more on SEO. We started focused on small, niche health sites, and Oppoing Views fell into our lap. The reason why, was one of our angel investors was a big news and political junky, and he was also the biggest angel in Opposing Views. They raised something between $2.5 and $3.0 million in funding, but ended up burning through it. He asked us, because we were also in the digital content space, to take over the site. When we took over the site, it was more of a debate site, and we started building content and more of a social feel on the site starting in 2013. Opposing Views is now our flagship property, and lots of our strategy and editorial and infrastructure comes from Opposing Views. When you say social channels, what does that mean to you? Vic Belonogoff: I think it's easier than ever nowadays to connect with an audience. Everyone carries their phone around, and 70 to 75 percent of the traffic on our site is all mobile. I think it's actually the best time there is for digital media and publishing, because no matter your audience they can easily connect with your content. We look at it as having two parts. One, is everyone is now connected via their phone to content, and at the same time, they are sharing that with their friends. There are lots of studies that show that friends who show each other content, are five times more likely to engage with the brand they have been introduced to, compared with a brand that was not recommended by friends. That's part of our strategy. On the news side, we're non partisan, which has led to lots more growth, as we tend to appeal to everyone, which has helped a lot too. What's your strategy in terms of content on other social sites, like Facebook or Twitter? Vic Belonogoff: These days, you have to be across the board. Facebook has been our primary area of growth, and was our first focus on social channels. We've done really well. We've since expanded to Instagram and Vine, and it's Snapchat and Youtube next. What we've found, is that news and politics works very well on Facebook. 40 percent of people now get their news directly from Facebook, and 20-odd percent get that news indirectly from friends through sharing. That works very well for us. In our food area, it's more visual, and we find that works well on Facebook, Instagram, and Vine, and we're now also moving into Snapchat and Youtube. Each vertical works differently, with specific kinds of content being digested by different audiences. The main channels we use are our own website, our dot com, Facebook, Instagram, and Vine. Many publishers have been wringing their hands over declining CPMs, shift from desktop to mobile, etc. – what's your strategy in this kind of environment as a publisher? Vic Belonogoff: It all starts with the content. Before social, with SEO, the average piece of content was about having the right keywords, right backlinks, and the right title, to make sure you got the search traffic. Demand Media made a business out of that. But, we're not in that world anymore. If people don't like your content, they stop looking at it, stop sharing it, and stop liking it, and algorithms on the social channels will stop showing it to you. I think, even though it's easier to reach people now, you really have to engage them on a daily basis, or you lose them. It's now much more difficult to distribute content than two years ago. What's on the horizon for you now? Vic Belonogoff: It's really all about video. We know that in 2017, a lot of what millennials are going to view on their phone is video related. Six months ago, we had 0 video views. Last month, we had 250 million video views. We'll continue to focus on short form, engaging video content, and move into specific verticals as this year progresses. You'll see us in news, politics, and in food, and next for us is more pop culture and entertainment. It will be less about celebrities, but more along a Wired or more intellectual Buzzfeed, and we'll also further our reach into gaming, music, and elsewhere in our same format.